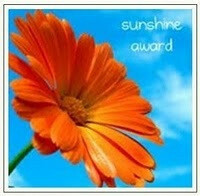 Thank you so much MissHollyBerries and Horrendous Colour for nominating me for the Sunshine Award! These girls were so sweet & kind to nominate me for such a uplifting and fun award – THANK YOU so much!! Please check out their blogs!!! ° Include the Award’s logo in a post on your blog. ° Answer 10 questions about yourself. ° Nominate 10 other bloggers. ° Link your nominees to the post and comment on their blogs letting them know they have been nominated. ° Share the love and link the person who nominated you. 1. My favorite color: Yellow! Just makes me happy whenever I see anything yellow! 2. My favorite animal: I have never had a pet – which is so sad to me! but I do like dogs – they are so loyal and love you no matter what. But I like smaller dogs, I am scared of larger dogs lol. 3. My favorite number: I would say 3 – it’s everywhere in my life. I am the second of three kids and I usually reference that number when I am frustrated by someone or something, I give it 3 chances or tries and then I’m maxed out. 4. My favorite drink: This is a tough one – it changes in winter & summer. For winter I would say – I NEED my tea and in summer I NEED my ice water with lemon! 6. My passion: I am passionate about a lot of things but to keep it simple. I love helping people, beauty (makeup & nail polish) and justice (as weird as that sounds – I am a fair person so if bad things are done to good people I try my best to help them out and lend a hand). 7. Prefer giving or getting presents: I love giving presents for sure! Especially when they least expect it! I just love seeing a loved one’s face light up when they get that gift they have always wanted BUT when they least expect it! On the flip side – the kind of presents I like are the simple and priceless kind – like hand-made cards, homemade breakfast/dinner – being genuinely thought of is enough for me. For example, when a significant other recognizes you are having a bad day and they surprise you on Saturday morning with an I Love You breakfast. 8. My favourite pattern: To wear? I would say leopard! But only as a top. But I like most patterns as they are creative and represent my personality well! So I would not mind wearing polka dots, floral, tribal patterns but they all have to be done in a tasteful manner and only as fashion though – I am not a nail art person. 9. My favorite day of the week: Right now (as it changes from time to time) I would say it is Sunday – as it is family day in my household and I get to see my nieces whom I love more than life itself!!! 10. My favorite flower: Lilies and Daisies. Now, onto the blogs that I love! First, this is my honesty – I only follow very few blogs and the ones I do follow – I quite enjoy – there are always the huge nail polish bloggers like scrangie and vampy varnish but I like the following girls MORE so check them OUT!! You’re welcome girlie =) you have a really awesome blog! you teach me a thing or two about combining colours for sure!